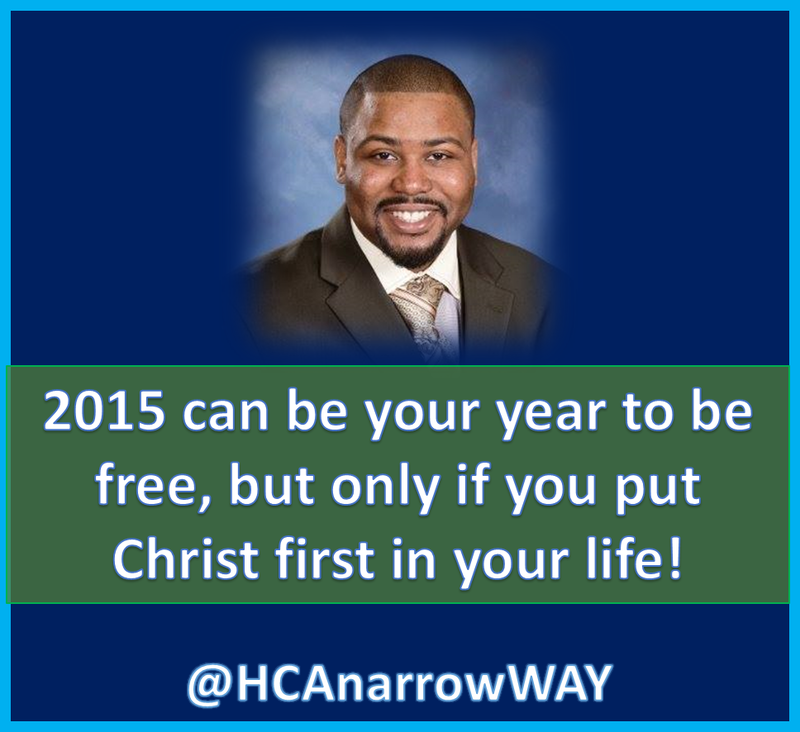 2015 can be your year to be free, but only if you put Christ first in your life! Paul addresses a popular saying during the time of the Corinthian church, "All things are lawful for me." People had the mindset that they could do anything they wanted to with themselves. Mainstream society thinks the same today with our "Anything goes" attitude toward life. The world says that you can do whatever you want because anything goes. However, knowing the truth of freedom through God's grace Paul essentially says "Even though I can do whatever I want, I will not be dominated by anything!" I WILL NOT BE ENSLAVED BY ANYTHING!! !